I'm back! And although rumours of my untimely demise have been much exaggerated, it is fair to say that the last six to eight weeks have been less than enjoyable. What had begun as a normal evening rapidly deteriorated when water started running down the wall of my home office (alarming) and which ultimately resulted in us replacing the entire heating system. Who knew that a perished washer could end up causing so much havoc. To be fair our contractors have been fantastic but the inevitable repairs, decorating and general tidying have eaten up much of my autumn to date and prevented me (both physically and figuratively) from posting much up on this blog. In reality that's no great loss as we've not had a whole heap to share anyway but one event, just over a week ago now, prompted paintbrushes and hammers to be cast aside. 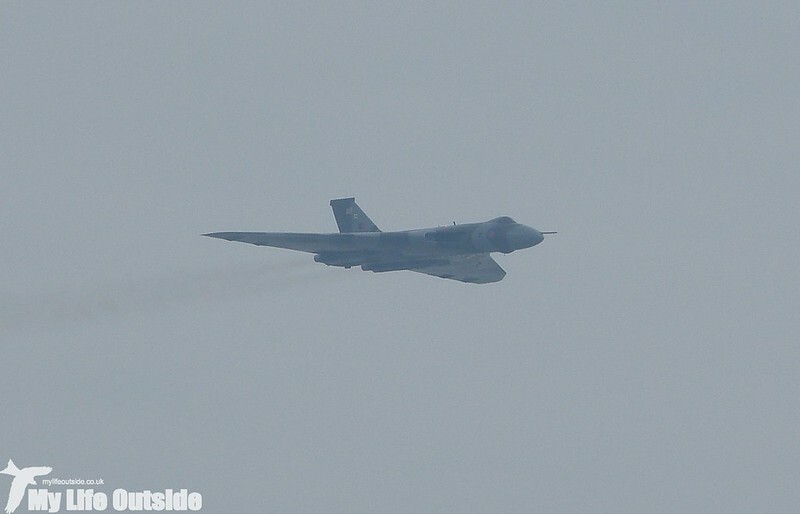 If you've been following my ramblings this year then the words "farewell tour" may give a hint that it was time for us to say our final farewell to the legend that is Vulcan XH558. 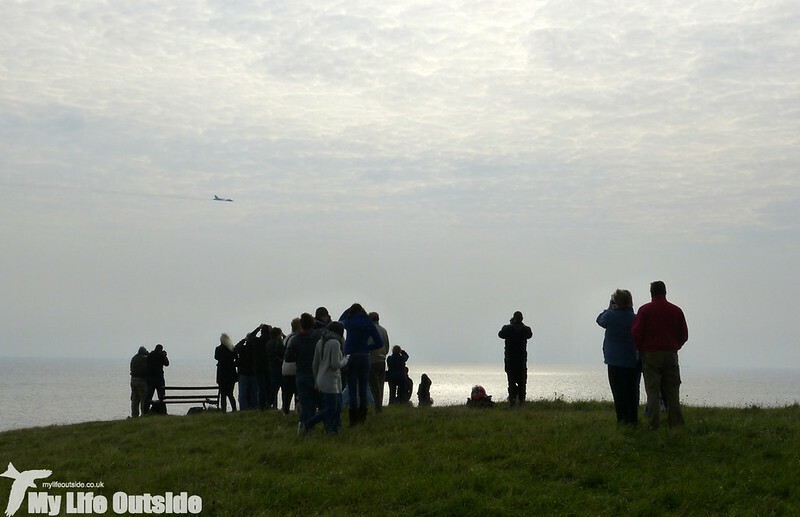 Having watched her display at both Swansea and Fairford already this year we couldn't pass on joining in on the Welsh leg of her countrywide tour, sentiments shared it seems by thousands of people if the number lined up along the Barry coastline were anything to go by. 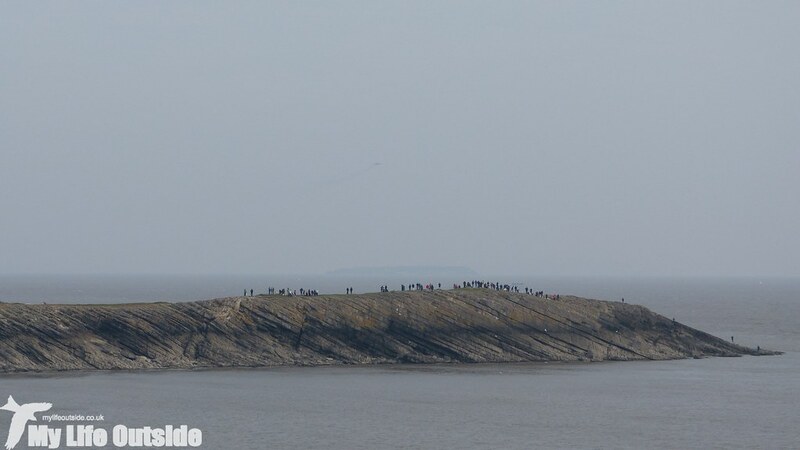 With twitter feeds on a constant refresh we all tracked her journey first to Bristol and then along the Severn estuary until that distinctive trail of exhaust appeared directly above Flat Holm island. Conditions were sadly pretty dire with a stiff breeze blowing and visibility severely hampered by low cloud and a heavy haze. 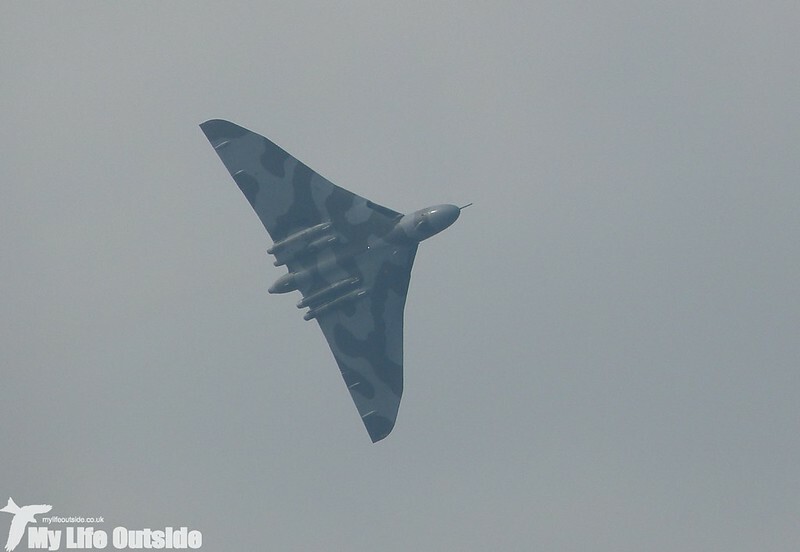 Even so it was a delight and a privilege to watch the Vulcan once more, her shape still as iconic as the day she rolled off the production line. The fly past lasted just a few seconds yet I can't have been the only one present who wanted to break out into applause. 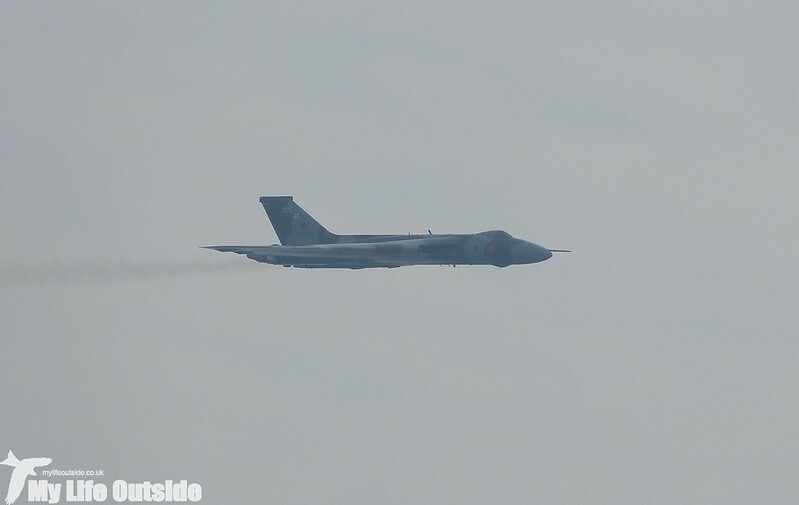 With the plane lost in the direction of Cardiff airport we headed back to the car only to look up and see XH558 powering her way back towards Barry. With a flick of the wrist she was sent into a wide banking curve that provided what will probably be the lasting image of this aircraft in my mind. A relationship that started off in 1992 was drawing to a close before my very eyes, the second time in some twenty years that I've witnessed the last flying days of this aircraft. Has she got another comeback in her still? Sadly I fear not this time but with the money and a will, who knows.